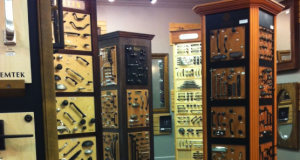 National Home Products is your southwest Missouri (including Branson) source for closets, glass and hardware . We install what we sell. Come visit our beautiful showroom in Springfield, MO and let us help you make your house a home! Our highly trained staff can assist you in making the perfect selection for your home. The details do make the difference. Considering the details for finishing your new home or home remodeling project? National Home Products has a vast selection of available product lines: Framed Mirrors, Shower Doors, Bath Accessories and Grab bars, Closet, Pantry and Garage Organization, Towel Warmers, Front Door Hardware , Electronic keypads, Cabinet hardware knobs and pulls, Furniture style free standing vanities and Toilet partitions for the commercial projects.